From the humble beginnings of a home-based pie shop in Orange County, Marie Callender’s has grown to a chain of over 60 restaurants from across the United States and Mexico. Marie, an accomplished baker, together with her husband Cal and their son Don, turned this family owned bakery to a legitimate business that offers wholesale bakery, pie shops, and full-service restaurants. Marie Callender’s offers a selection of classic American comfort food from their signature pies to full sit-down menus that showcase the delectability of home cooked meals. They also offer classic quiches, salad platters and other pasta meals. Whether your gatherings are for breakfast, lunch or dinner, there are Marie Callender’s customized or set catering menus available for you. They even have kid friendly meals to satisfy your little ones. While a lot of things have changed throughout the years, Marie’s commitment to the quality and care that goes into their products and the service that they provide their customers remain the same. Marie Callender’s aim to make your events memorable and your catering experience as stress-free as possible is their edge amongst other catering services. People frequent Marie Callender’s for their helpful and efficient catering staff and of course the choice of mouth-watering pies – from fruit, cream-filled to specialty pies! The choices are vast and each choice as good as the last. 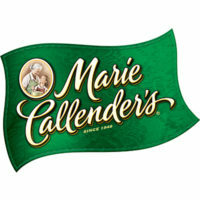 For catering needs, the Marie Callender’s website http://www.mariecallenders.com/order-online has the list of branches nearest you. The branch directory details contact information, hours of operations and the services offered in that location. Menu choices, delivery options and private banquet facilities availability are specific to locations. It is best to specify the zip code you’re in to guarantee that you do not only have the nearest but also the best suited location for your requests. The most popular items are still, of course, pies! Home-made pie slices or whole pies to go that Marie’s became famous for. There’s a minimum order amount of $75.00 and parties of 20 or more are required to give a refundable deposit of $50.00 when placing an order. For deliveries, a $10.00 fee is charged with your orders. Marie Callender’s type of catering can be tailored to events of any size and budget. From small meetings to lavish banquets, Marie’s offer quality services to make your events stress-free and unforgettable. At Marie’s customers are offered a wide variety of customized and prepared selections of meal bundles. Sets come with a mixture of choice entrees, salads, sandwiches, desserts and of course, an assortment of our signature baked pies. As an all-inclusive catering company, Marie Callender’s offers full-service assistance for off-site catering events and for a fee provides other additions such as wines by the bottle to go with your meal or decors. Or if you opt for Marie’s to deliver your dishes and leave the setting-up to you, they can do that too. Marie’s aim to make your event a memorable occasion and support you in any way they can. So you can either trust Marie’s with the event reins or have Marie’s supply you with scrumptious dishes to complement the happening you designed.